The Lungarotti Pinot Grigio is created according to the family's priorities, above all the respect of tradition, history and territorial identity. 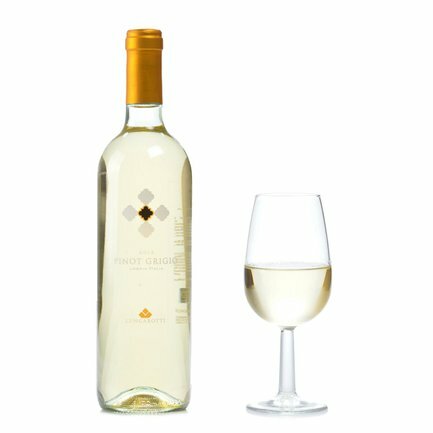 A youthful wine made with 100% Pinot Grigio grapes, with a fine straw-yellow colour flecked with greenish highlights. It reveals floral notes on the nose, with sensations of fresh white-pulp fruit. Dry-tasting in the mouth, with an impressive structure, offering a pleasurable fruity aftertaste. Alcohol: 12.5% vol. Ideal as an aperitif, Lungarotti's Pinot Grigio also goes superbly with oriental dishes, including sushi, curries and fish specialities. The story of the Lungarotti wine label is inseparably linked with the Torgiano area, the most prestigious part of Umbria in winemaking terms. The company founded in the 1960s by Giorgio Lungarotti is now run by his daughters Chiara Lungarotti and Teresa Severini, who bring a driving enthusiasm and innovatory dynamism to its development. This concrete energy and optimism forms the foundation of the success of the Lungarotti strategy, with its vision of wine as a fundamental element within the integrated promotion of territorial identity and tourism.